The holiday season also brings a breeze of cold air. 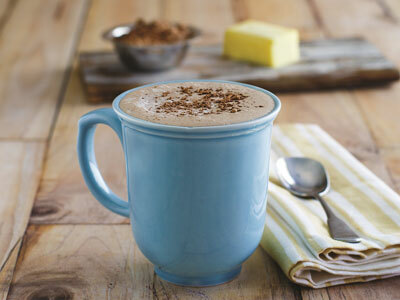 What’s a better way to warm up than with a cup of butter hot chocolate? 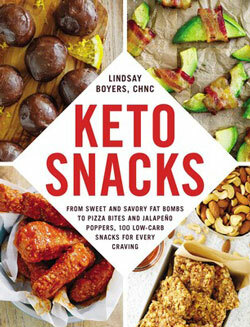 Lindsey Boyers, author of KETO SNACKS, shares a great, keto-friendly recipe you can use! This Butter Hot Chocolate is the perfect pick-me-up for that afternoon slump or after-dinner keto treat. It’s easy to whip up with ingredients that you likely already have on hand. Add coconut milk to a small saucepan and bring to a simmer over medium heat. Once coconut milk reaches your desired temperature, transfer to a blender and add remaining ingredients. Give it a Kick: If you want a little extra caffeine boost, you can replace the coconut milk in this recipe with some brewed coffee—or use a combination of both. Discover more recipes in KETO SNACKS! Excerpted from Keto Snacks by Lindsey Boyers. Copyright © 2018 by author. Used by permission of the publisher. All rights reserved. Stick to your keto diet without giving up your favorite foods with these 100 easy-to-make high fat, low-carb snacks. Starting a ketogenic diet—high in fat, low in carbs—doesn’t mean giving up on all your favorite snacks! Instead of eating foods that might prevent you from entering ketosis, you’ll need options that will help your body burn fats instead of carbs. You’ll find just what you need in Keto Snacks, featuring 100 easy, delicious recipes for sweet and savory low-carb treats. Learn to make “fat bombs”—small energy-filled snacks with low carbs and high fat, like Pizza Balls or Sunbutter Balls. Try other savory keto snacks like deviled eggs or guacamole, or go sweet with some chocolate mousse for dessert! In Keto Snacks, you’ll find yummy recipes for Creamy Rosemary and Prosciutto Baked Avocado, Chorizo-Stuffed Jalapenos, Coconut Almond Truffles, Peanut Butter Cup Cheesecake—and much more! You’ll be sure to find a tasty keto snack to satisfy any craving, any time of day!